Spent two gorgeous days with the Kunzes, seeing the highlights of Rendsburg and enjoying their scrumptious meals and hospitality. 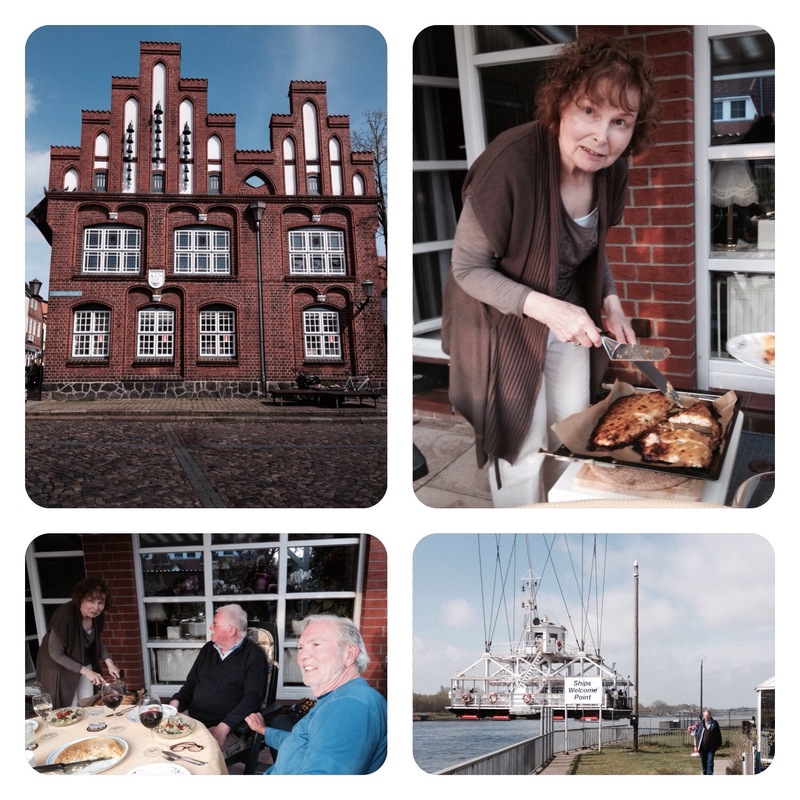 The picture shows the old town hall, the suspended ferry over the East-west Canal, and scenes from tonight’s dinner. What’s missing is Hainer, their son who traveled some seven hours from Marburg to Rendsburg by train to surprise me—yes, train. The strike is over!!!! We’ll catch a photo of him tomorrow. A real treat tonight was a DVD of a man with Parkinson’s who made the Camino de Santiago–amazing feat! Hi Kurt: that castle like building on the top looks kind of New Englandy, only much, much nicer. Looks like your adventure begins with the hospitality of friends. A great way to start. Love the architecture of the town hall. I’ve never seen a suspended ferry! That’s impressive. Looks like you are enjoying delicious meals with enjoyable conversation. What a treat.